It’s the holiday season and one of my favorite things to do is watch Holiday movies and specials with my family. I don’t know what it is about holiday movies (and Christmas specifically for us) that makes tv watching seem so much more fun. But I think I probably watch more television in the months of November and December than any other time of year! 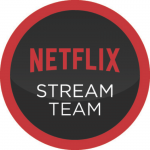 As a longtime Netflix user and recent member of the Netflix #StreamTeam, I am always looking to see what new titles they are adding. Here are a few of my current favorites for the holidays! The boys both love Curious George and the holiday episodes are great! They are a bit longer than a normal episode at just under an hour. 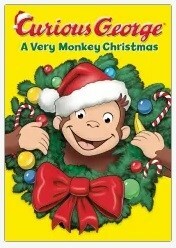 Curious George: A Very Monkey Christmas is perfect for an early movie night with younger kids! 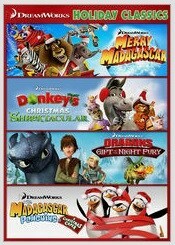 Another fun collection is Holiday Classics from Dreamworks with favorites like Shrek and Donkey, Dragons and our fun friends from Madagascar! Of course, the penguins are my favorites. 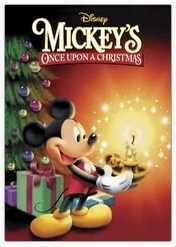 We love Mickey’s Once Upon a Christmas! 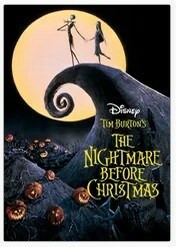 There is just something about Disney and Christmas that belongs together. 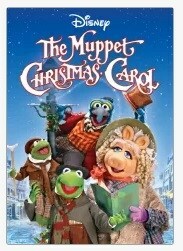 The holidays just wouldn’t be the same without some version of the classic Christmas Carol story. Add the Muppets and it just doesn’t get much better! We are big fans of Jack Skellington and while the boys aren’t quite ready for this one, Jerry and I love watching The Nightmare Before Christmas! What’s this!? I love a cheesy romance at the holidays and While You Were Sleeping is the best of all holiday movie worlds. A crazy family, a tall tale, and bit of romance makes for a super fun curl up on the couch with a blanket movie night. And I haven’t even touched on the classics yet! 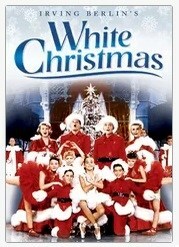 White Christmas is a must watch at least once during the season, don’t you think?